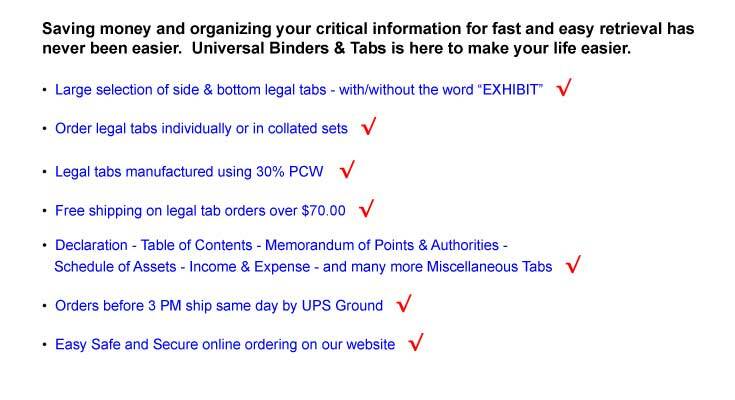 Welcome to Universal Binders & Tabs. 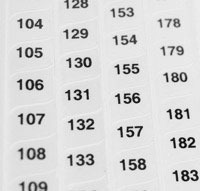 Click on a picture below. 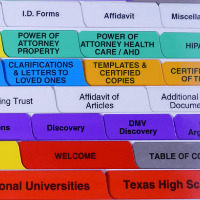 Order Side Legal Tabs with and without the words "EXHIBIT" on them. 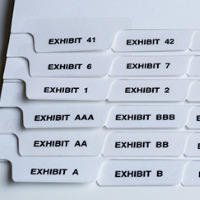 Order Bottom Legal Tabs with and without the word "EXHIBIT" on them.